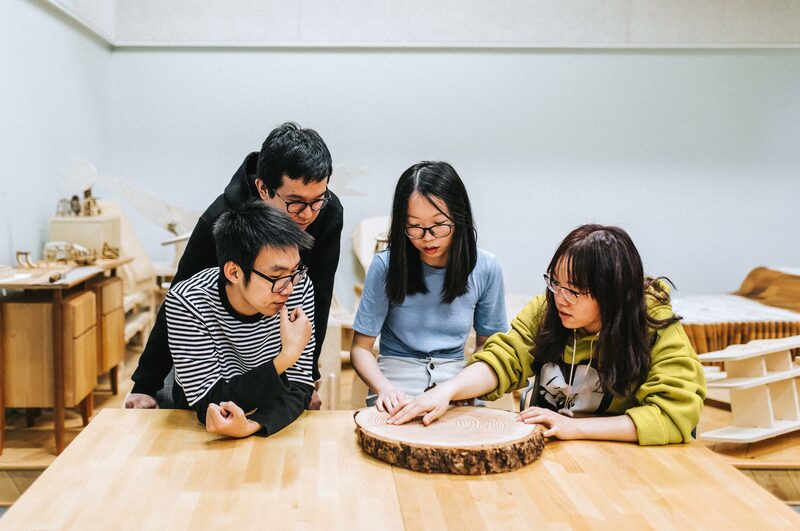 The enrolment of Chinese transfer students is helping the forestry program at UBC to thrive. The face of post-secondary forestry education in Canada has changed in the past 20 years due to demographic and economic shifts. The Faculty of Forestry at UBC has adapted and succeeded, thanks to a global outlook on forestry education that includes exchange programs with India and Africa, and an undergraduate transfer program with China. “When I first came to UBC in 1999, I had the distinct impression that no undergraduates, very few graduates, and remarkably few professors really understood what was going on outside of British Columbia,” says Dr John Innes, dean of UBC Forestry since 2010. Hailing from Scotland, and with work experience in both Europe and Canada, Dr Innes arrived at UBC with an international perspective on forestry issues. The insular nature of Canadian forestry education in the 1990s was symptomatic of a larger crisis. A 2006 report in The Forestry Chronicle described a negative feedback loop during the mid-1990s to mid-2000s, where public perception of the forestry sector as an environmentally unfriendly industry led prospective students to go elsewhere. Continuing trade disputes with the United States over softwood lumber made a career in forestry even less appealing. Forestry programs shrank as undergraduate enrolments dropped, and the low numbers of graduates further threatened the forestry workforce. The report called for a coordinated national strategy to save post-secondary forestry programs from closing. Dr Innes did not wait. In 2002, he started developing a transfer program to help increase undergraduate enrolment at UBC Forestry, while providing students in China with much needed forestry skills. He and his team negotiated with the Chinese Ministry of Education until the first class of students was officially welcomed in 2012 at Nanjing Forestry University. Partnerships now include three other forestry and agriculture universities in China. The relationship between Canada and China over forestry education started in 1980 when China re-established relations with Western countries. A 2013 article in Canadian and International Education describes how the Canadian International Development Agency helped China rebuild its science and technology sectors and post-secondary institutions, which were decimated by the Cultural Revolution (1966–1976). According to a 2013 article in The Forestry Chronicle, Canadian forestry program deans visited China and helped to revamp the country’s fire management and forest management programs. In assisting China with higher education, Canada set itself apart from other Western countries that tended to provide only basic and nonformal technical education. Nearly 40 years later, the Chinese transfer program and an updated forestry curriculum are helping UBC Forestry. “We have been able to boost our numbers of students,” Dr Innes recounts, “which has meant that some programs that we would have had difficulty justifying now have sufficient numbers of students to justify them.” UBC Forestry’s 2016 annual report states that 1,023 undergraduates enrolled for the 2016–2017 academic year—the highest number since the enrolment crisis. According to Dr Innes, around 180 Chinese transfer students were enrolled, which constituted about 18 per cent of the undergraduate population. Chinese transfer students at UBC Forestry discussing data. 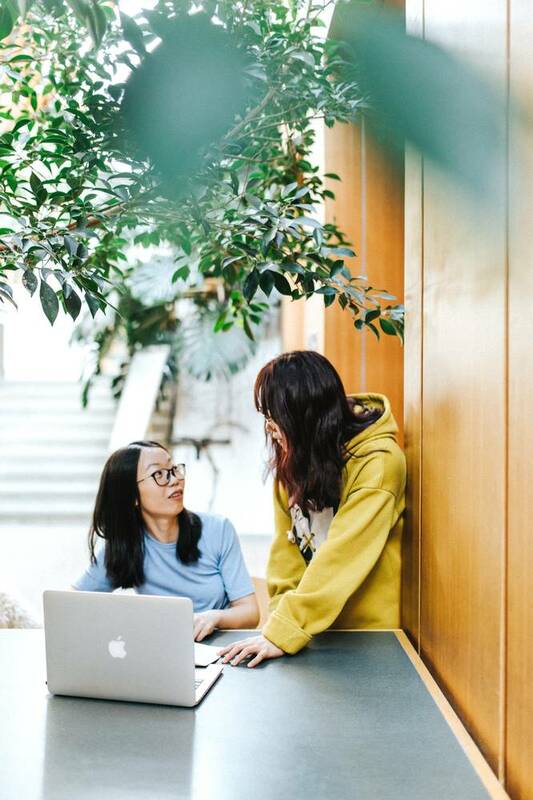 In the Chinese transfer program, students complete two or three years of university at home before transferring to UBC Forestry for the final two years. 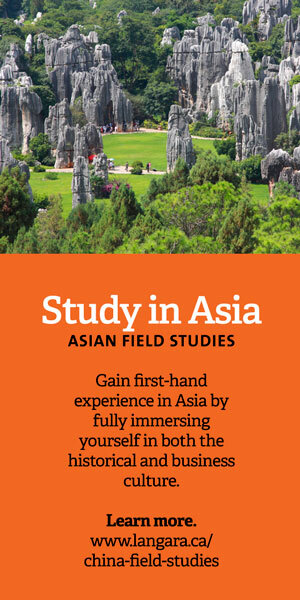 Faculty members from UBC go to China several times a year to teach. 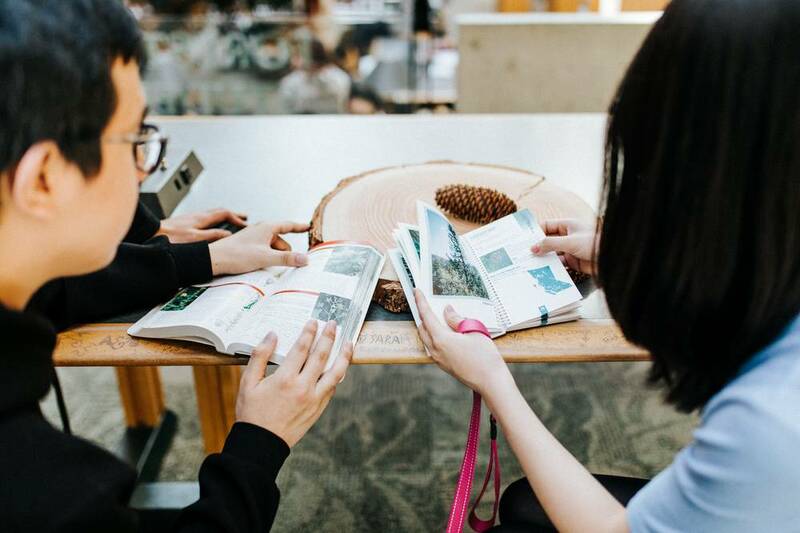 Xinxin Zhu, program manager for Asian Strategies at UBC Forestry says, “We hope students can understand the BC and Canadian context before they transfer to UBC.” She also says that the faculty members’ visits help the students understand the UBC style of teaching. Teaching staff from UBC Forestry originally included only the dean and department heads, but now includes an instructor and qualified graduate students with teaching experience. When PhD candidate Allen Larocque was asked if he wanted to teach in China, he jumped at the opportunity. “I’ve always wanted to go to China; it’s been one of my dreams since I was a kid,” he says. Although the instructors from UBC Forestry taught at different Chinese universities, they had similar experiences. They discovered that the students’ English proficiency was lower than expected, and that the Chinese lecture format differed from the Canadian “flipped classroom learning experience.” The students were not used to presenting material in front of their peers, questioning opinions, or breaking into small groups for activities. Larocque also says that the Chinese students felt more comfortable being taught by someone younger like him, whereas they had felt intimidated by the older and more prestigious faculty members. Chinese transfer students at UBC Forestry studying tree information. According to an April 2017 article in The Globe and Mail, China is Canada’s second largest export market for softwood lumber, with BC leading the way in lumber sales. The forestry ties between Canada and China appear strong and will likely continue for years to come. In early 2018, China deployed 60,000 soldiers to Hebei province to plant trees. According to reuters.com, three new state forests, with a total coverage of 438,000 hectares, will be planted in that province to stem air pollution that has plagued Beijing and Northern China. 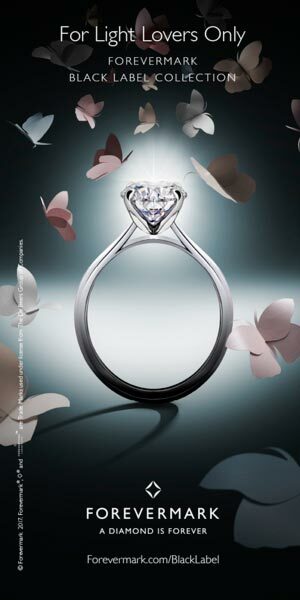 China has other ambitious forestry plans. The Three-North Shelterbelt Project, also known informally as the “Great Green Wall,” is a national eco-engineering effort that began in 1978, and will continue until 2050. In April 2017, National Geographic reported that millions of trees have been planted along China’s northern border with the Gobi Desert. The goal is to reduce the effects of desertification on previously arable land. In addition to reforestation, China has made progress in protecting natural forests. A January 2018 report in China Daily states that China has spent 300 billion yuan ($58.7 billion CAN) over the last 20 years to protect natural forests. Measures were implemented in 16 provinces surrounding the Yangtze and Songhua rivers after severe flooding in 1998. China has a national sustainable forest management plan. According to a 2014 document released by the Central Government’s State Forestry Administration, China has improved forest management since 2000 to become the country with the fastest growth in forested land. Logging in natural forests has decreased, supplanted by increased logging in plantation forests that are grown specifically for timber. As of 2014, the Food and Agriculture Organization of the United Nations estimates that 21.5 per cent of China’s land area of 9.6 million square kilometres was covered by forests. According to the China Daily article, the government’s goal is to increase forest coverage to 23 per cent by 2020 to counteract climate change and soil erosion. China is a member country of the Montréal Process, a working group for the conservation and sustainable management of temperate and boreal forests. Other members include Canada, the United States, Mexico, Argentina, Chile, Uruguay, Australia, New Zealand, Japan, South Korea, and Russia. The insular nature of Canadian forestry education in the 1990s was symptomatic of a larger crisis. Innovative UBC program provides a new generation of farmers with agricultural education and hands-on experience. Conifer trees in the forests of British Columbia use different survival tactics to deal with wildfire. Old versus new methods of education in China.